A couple of weeks ago I received my first ever book from a publisher, Gray Mountain by John Grisham, in exchange for my honest opinion. It was such a bizarre feeling to receive a book from a publisher, and I can’t wait to share my thoughts with you. [The Plot]: Donovan Gray is ruthless and fearless. Just the kind of lawyer you need, deep in small-town Appalachia. Samantha Kofer is a world away from her former life at New York’s biggest law firm. If she is going to survive in coal country, she needs to start learning fast. Because as Donovan knows only too well, the Mountains have their own laws. And standing up for the truth means putting your life on the line. I’ve heard of John Grisham’s work in passing over the last couple of years, but haven’t had the chance to pick up one of his books. So when Hodder & Stoughton sent me Gray Mountain, I was really looking forward to experiencing my first John Grisham book. I started to read Gray Mountain a couple of days before going on a family holiday, and I must admit that it took me a little while to really get into the book. Although I was enjoying it, I just found myself reading at a much slower pace than usual and being easily distracted. However, as soon as I was away, laying by the pool, I finished this book in no time at all. I found the background to the book to be very interesting and informative. Living in an average town in Wales, strip mining isn’t something I have ever come across or ever heard of. So not only was I enjoying a fictitious story about Donovan and Samantha’s two separate worlds meeting in the middle and conflicts they are facing, but I feel like I actually learnt a lot in the process. As Samantha’s entire world is thrown upside down in a matter of hours, I found that it was quite refreshing to be reading form the view point of what I felt like was a real honest person. I found her to be refreshing as a main character, instead of creating a strong female lead who will conquer the world and rid Appalachia of strip mining and tear down the coal companies and their corrupt lawyers, Grisham has created the female lead that I think people may be able to actually relate to. She learns on the job and realises the importance of helping real people, while still being scared of tackling the big firms. She gets involved with her new clients, and in doing so she slowly works herself up to wanting to make a bigger difference in the world, even if it’s just in the world of small town Appalachia. 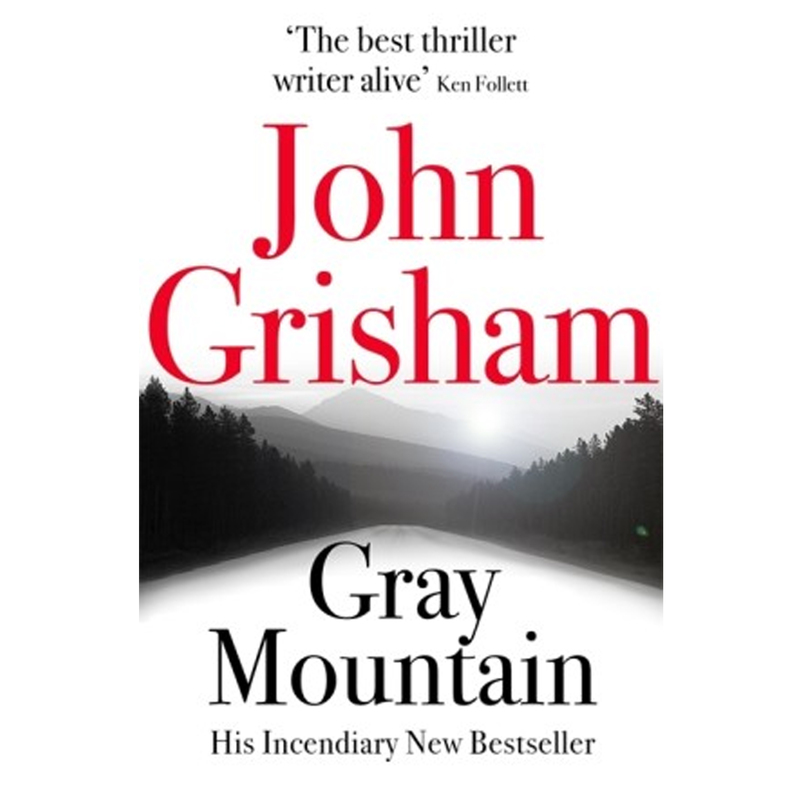 Once I properly got into Gray Mountain, I thoroughly enjoyed it and after hearing mixed reactions to it, I’m intrigued to read more of Grisham’s work. After enjoying this book so much, I’m sure I will enjoy many more and I would love some recommendations of your favourite Grisham book. I rate this book four out of five stars. Those were just my bookish thoughts, but I would love to hear yours in the comments below. Please like,share and follow if you enjoyed this post, and feel free to leave recommendations in the comments.